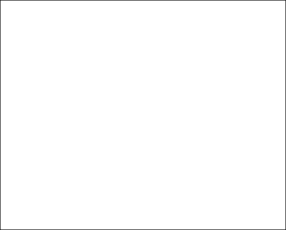 The SP110M infinity plan objectives are of excellent quality. The illumination system has a stand alone transformer delivering 12 volt 50 watt output. The incident lighting has an integrated field and aperture diaphragm allowing Kohler illumination. 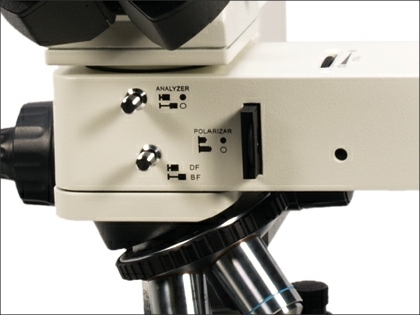 The SP110BD can toggle between bright and dark field observation simply, by a push/pull lever. 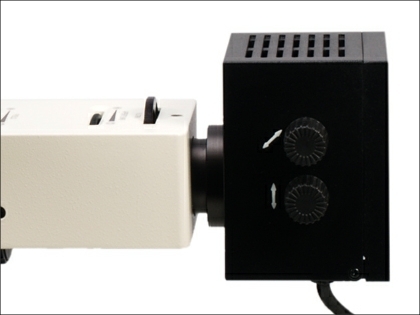 Similarly polarisation filters can be introduced to the optical path, and the polarising filter can be rotated through 360° via a thumb wheel arrangement. 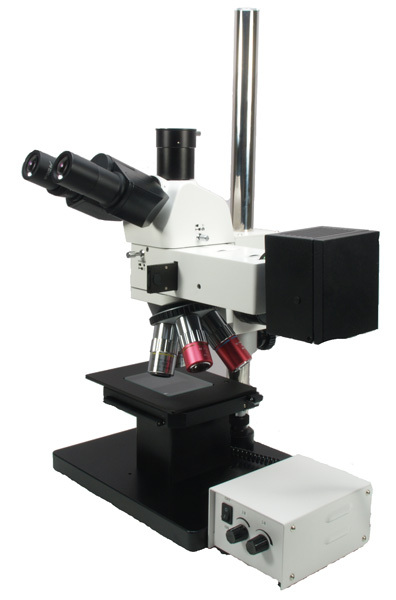 The lamp housing has full bulb holder adjustment, with bulb filament focusing to ensure optical path alignment.The microscope base has a central raised mechanical stage area measuring 185 x 140mm with a movement range of 35 x 30mm. This element can be removed, and the instrument supplied with a large square stage with no mechanical adjustment. 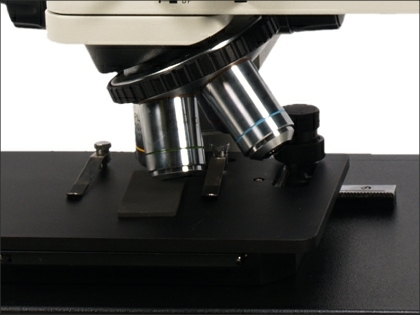 The whole optical unit can be moved up and down the pole stand to accommodate a wide variety of specimen thickness, with fine focus being by a rack and pinion system with full tension adjustment. 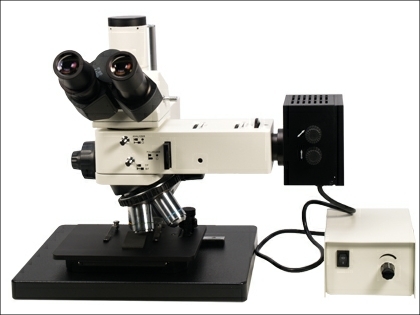 The SP110M series has a range of accessories available from our online shop. 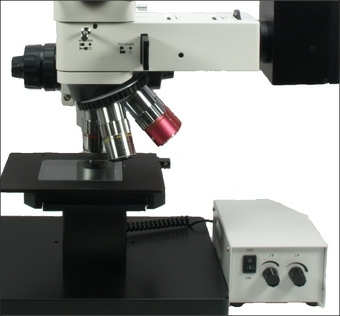 Designed and manufactured by us, this is a specialist metallurgical microscope responding to the need for very long working distance objectives that can examine inside chambers and through glass ports in research products for example. This is an extremely flexible instrument with both incident and transmitted LED lighting that can be used together or independently. 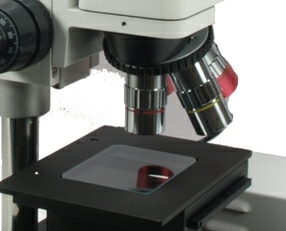 The double length support pole allows specimens with significant depth to be examined. In addition the trinocular head provides a ‘right way round’ that allows a degree of manipulation using the lower power objectives. It can be supplied with standard bright field/dark field objectives with standard working distances or with Mitutoyo style extreme long working distance bright field objectives. These are of course expensive and the turret can be supplied either with a full set (x5, x10, x20 and x50) or specific objectives as required.